The World of Handwriting Analysis: Why has my 10 year old become aggressive ? Why has my 10 year old become aggressive ? 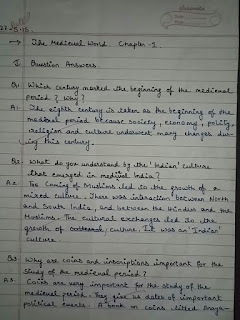 This was the question asked by one of the friends and she seeked help by having kid's handwriting analyzed. Her daughter was roughly 10 years old and our friend shared that she had, of late, become more aggressive, has been showing more temper and has been becoming socially more introvert. 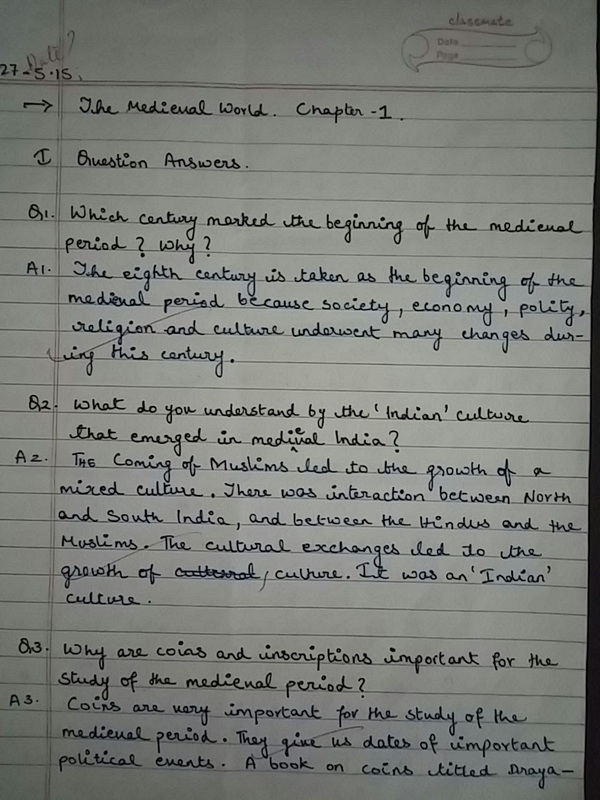 Upon asking, she shared these handwriting sample. The second sample was something that she asked her daughter to write without telling her the purpose. 1. The first handwriting sample was written in a school notebook. 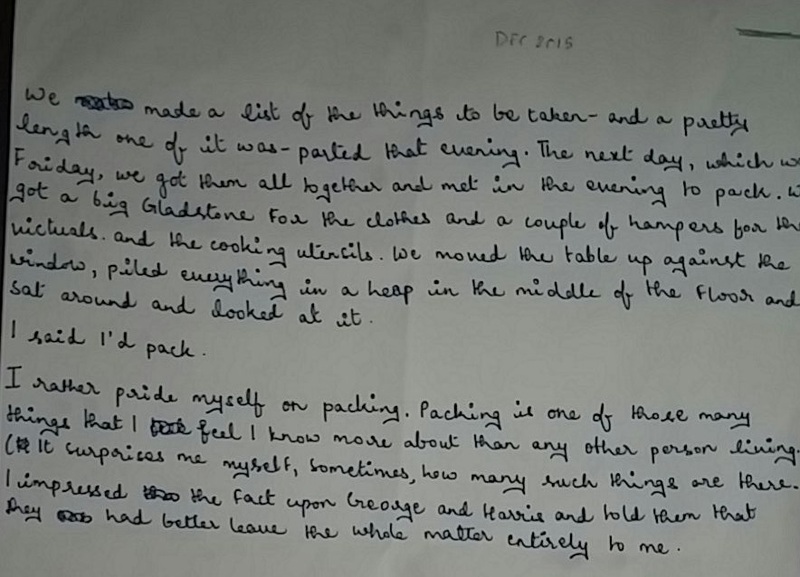 And it pertained to her handwriting as it appeared in May-2015. 2. The second sample was from Dec 2015. 1. 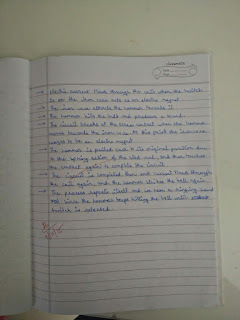 The pressure of the handwriting had increased in Dec sample. 2. More curiously the lower zone of letters like "y", "g" (as you can notice in Dec 2015 sample) was more incomplete. In May 2015 sample, the same letters has fully formed lower zone. 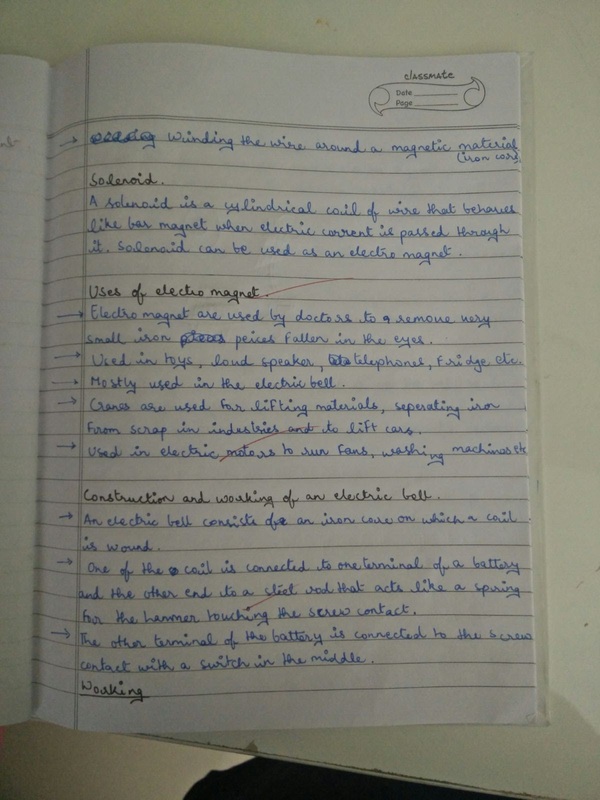 As a result, we requested our friend to send yet another handwriting sample from Dec 2015, this time from her school notebook just to ascertain if his behavior change is only happening in school. And this is what she sent. It was very evident look at this handwriting sample that some changes had happened in her daughter's handwriting that we thought to analyze further. How deeply does she feel emotional situations ? Does she carry grudges for long ? May-2015: When faced with an unpleasant situation, she may get extremely angry today, by tomorrow she will have forgotten the anger associated with the problem. She doesn't hold grudges for a long time. 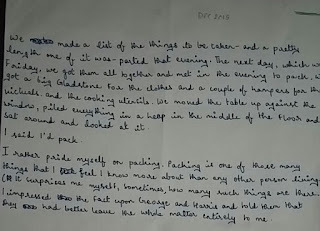 Dec- 2015: There is a change in the way she feels emotional situations in the Dec handwriting sample. She feels situations very deeply and in an enduring manner. Any emotional situation or feeling will stay with her for a longer time. She may forgive, but will never tend to forget. She has developed definite likes and dislikes. She has started to feel situations intensely. Key Learning: This difference possibly explain why she is being seen as aggressive now. Has her temper increased in the last few months ? May-2015: Temper is a hostility trait used to resist people who are stepping on one's ego. It is not really an emotion. To elaborate, person who has temper doesn’t understand how to overcome a situation and reacts with temper, hoping that will take care of it. She has temper trait in her personality but it wont show up often but will show up only on some provocation. In normal circumstances, she has the ability to control it. Dec-2015: In the Dec. handwriting samples, it certainly shows more presence of temper than in May. Does she hold any subconscious guilt and bitterness ? May-2015: No, seem fine in May handwriting sample. Dec-2015: This seem like a biggest change in her personality between May and Dec. For some reason, she has developed subconscious guilt and some sort of bitterness in her personality. She may show as having best interests for you but may end up hurting you in the end by doing something detestable and eventually insulting. Its a bit complex to explain but since she thinks she is feeling guilty of something, she has developed a way to get punished. Any anger shown towards her is seen by her as a punishment she deserves and she is seeking more of such punishment. Key Learning: This may explain the root cause of the behavior change that is being observed now. Is she deceiving herself about something ? May-2015: Didn’t see the traces of this in May handwriting sample. Dec-2015: Self-Deceit is a fear of people knowing the truth. This is not something that has changed drastically in her from May but there are traces of self-deceit (though not predominant) in her personality. As a result of this, she may not want to face the reality and pretend that certain things are not happening. Key Learning: This possibly explain the personality change that may be driving some of the behavior that we are seeing now. Is she sensitive to criticism ? 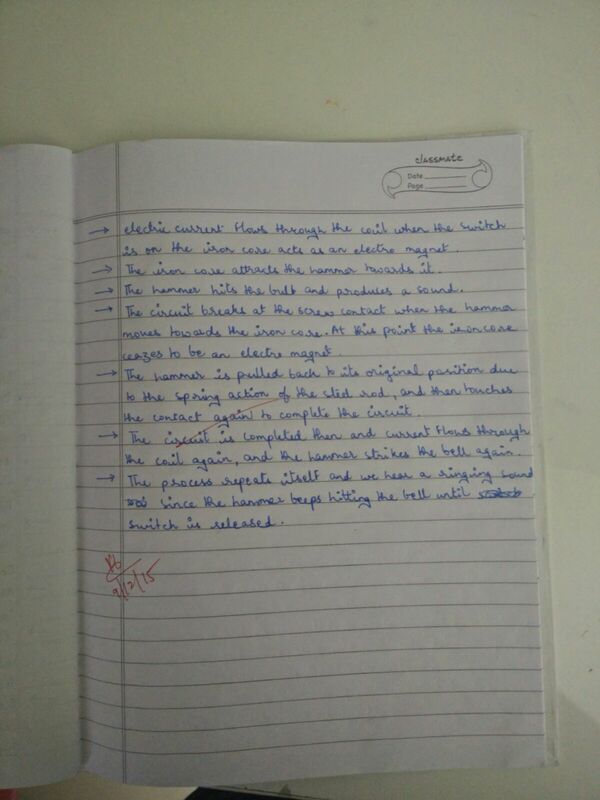 May-2015: She has very sight traces of sensitiveness to criticism in May handwriting sample. Dec-2015: She has developed slightly more sensitiveness to criticism in her personality, which means that she lets others thoughts, words affect herself. She will be most likely to say "You hurt my feeling". Again, this is not something that predominant in her personality, something that is under control overall. Key Learning: This probably is also one of the factors why she has become sensitive to responding aggressively. We are still dealing with this case and working to find out the next steps to bring in the necessary change but i just thought to share the findings so far. Handwriting Analysis as a science, has wide ranging utility and this case seem to be justifying the case. Will look forward to share more. 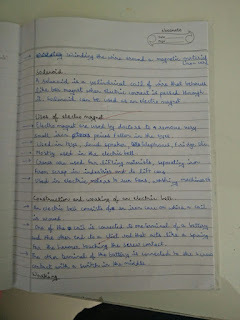 Will you analyze my Handwriting ?